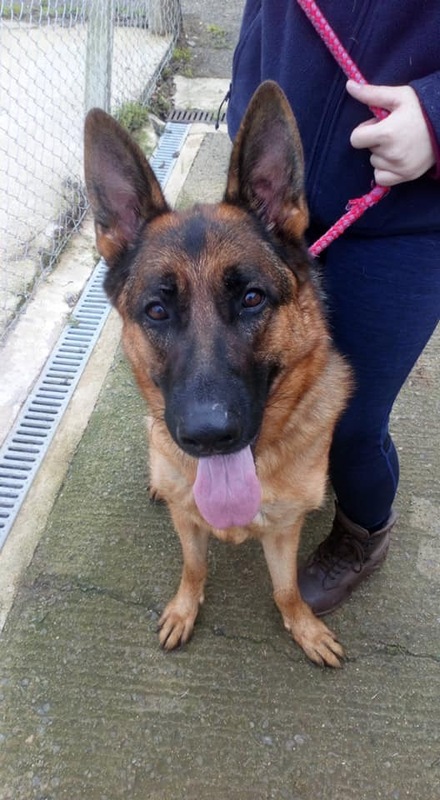 Alfie is a 2 year old Male German shepherd looking for a new home after a tragedy in his family. His Dad was murdered and his mum was forced from the country she called home. As such Alfie and his brother, Charlie, were in desperate need of another home. After arriving a home was found for the boys together but, unfortunately, it seems the stress of the move caused them to fall out. Oddly they were both fine with the other, older, shepherd in the home but just didn’t tolerate each other. Their new family took the difficult decision to separate them which leaves Alfie, once again, in need of a new home. He is a big lad and absolutely stunning. He is friendly with people and enjoys a fuss. He does have basic training and walks on a head collar when out and about. 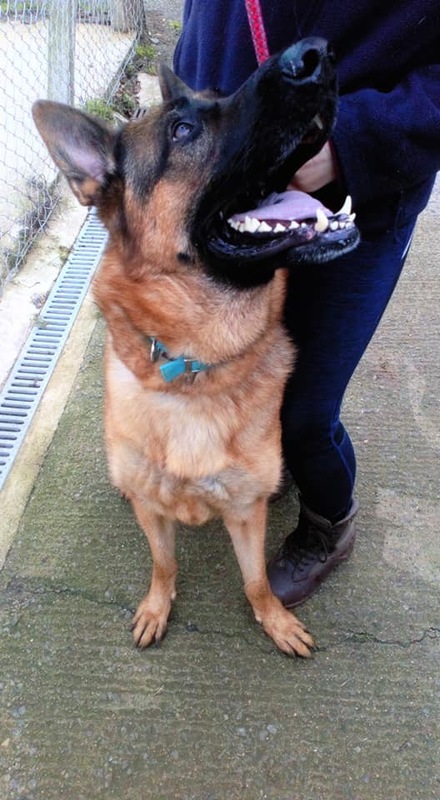 He is probably best suited to a home without other dogs as he seems to pick and choose who he likes. He is untested with cats and due to his size is most suited to a home with older children. Could you give Alfie the stability he desperately deserves?